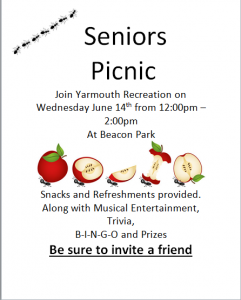 Come out and enjoy Yarmouth Recreations annual Family Beach Party! Starting at 11am on July 23rd there will be beach volleyball, a dinosaur dig, scavenger hunts and lots of chances to win prizes! 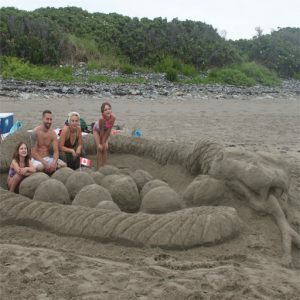 Don’t forget about our sand sculpting contest; it’s a great opportunity to showcase your creative abilities. We hope to see everyone out enjoying the sun and the sand at this year’s family beach day. 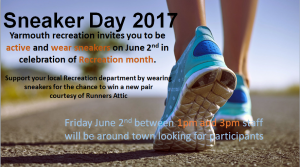 Yarmouth recreation invites you to be active and wear sneakers on June 2nd in celebration of June is Recreation month! Get “caught” wearing your sneakers on June 2nd for a chance to win a new pair from Runners Attic!